One of the challenges I have found when using Intune for Device Compliance is being able to easily document changes to satisfy internal change control policies. 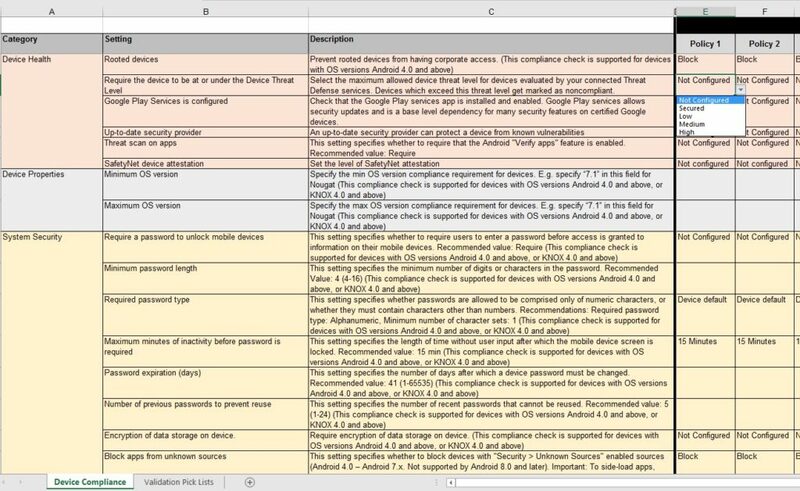 This Template is for Android Device Compliance. The settings were accurate at the time of writing this post.